Luxating patella (Slipping kneecap) is a displacement of the patella (kneecap) to the side of the joint and is a cause of dog join pain. This page looks at the symptoms, causes, and treatment of patellar luxation in dogs. The patella is the kneecap which is essentially a small piece of bone that covers and protects the front of the knee joint (stifle joint) on the back leg. In the thigh bone (femur) there is a groove (the trochlea) in which the patella slides, and there are ligaments which hold the patella in place. Patellar luxation is a displacement of the patella to the side of the joint. This condition occurs if the groove (the trochlea) is too shallow, and when the dog bends the knee, the patella pops out of place. Luxating patella is most often a canine congenital disease that is due to poor alignment of the bones and joints of the hind leg. It is rarely acquired through trauma. There are two types of patellar luxation depending on how the patella slips out of the stifle joint. When it slips out to the inside of the joint, it is called “medial luxation”. When it slips out to the outside, it is called “lateral luxation”. Medial luxation is a more common condition which occurs mostly in toy and miniature breed dogs, such as Chihuahuas, Pugs, Toy Poodles, etc. 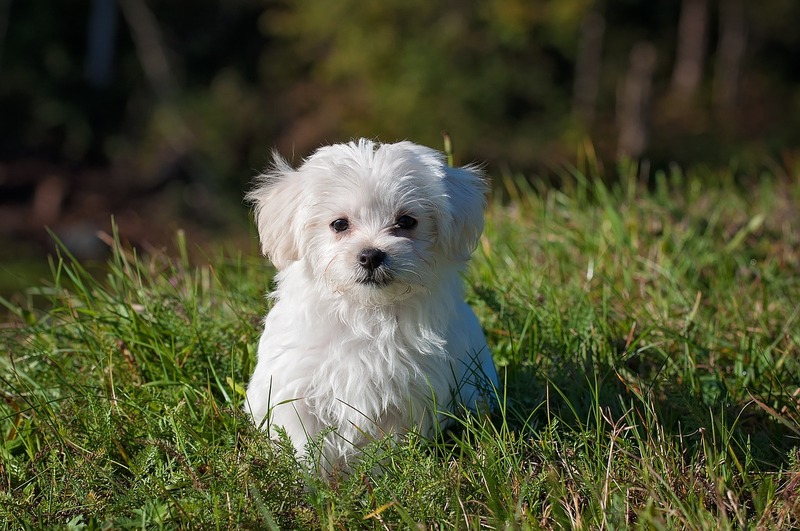 Some puppies may show signs of the problem when they start walking. Other dogs show symptoms later in life. In the beginning while the condition is mild, the patella may be in place most of the time and may pop out of place from time to time. 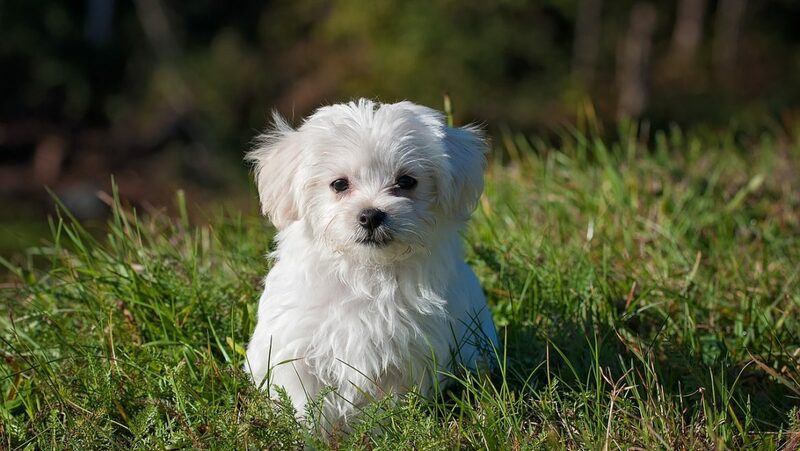 The puppy may have a gait which is normal most of the time but, when the patella slips out, the gait becomes abnormal. You will see the stifle joint bent in the affected leg; the foot will turn inward when the patella is out of place. Lateral luxation can also occur in larger breed dogs, such as Saint Bernards, Rottweilers, and German Shepards, when they are around 5-6 months of age. The main symptom of luxating patella is an intermittent hopping on the limb when the patella pops out of place. Very often the patella pops back in on its own and then the dog usually walks normally again. 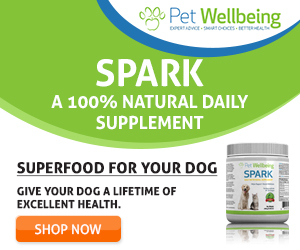 In the early stages of luxating patella, the condition may not cause too much pain to the dog. Much of the lameness is caused by soft tissue pain when the patella is out of alignment. However, chronic slippage of the patella can cause cartilage wear and osteoarthritis in the joint can result, at which time the joint pain will be more pronounced and the lameness more persistent. Diagnosis of luxating patella is made by the veterinarian trying to push the patella out of the groove (trochlea). Grade 1: The patella can be pushed out of the groove manually, but it returns to position when pressure is released. Grade 2: The patella can be pushed out of the groove manually or can spontaneously move to the side when the joint is flexed, and it remains out of place until it is manually repositioned. Grade 3: The patella remains out of the groove most of the time, but can be manually repositioned with the joint extended. However, flexing and extending the joint results in the patella slipping out of place again. Grade 4: The patella is out of the groove at all times. Moreover, it cannot be manually repositioned. The trochlea is either too shallow or is missing all together. Grade 1 luxation may not worsen so dogs suffering from Grade 1 luxation may only need some medical treatment for the pain. The outlook after correction of patellar luxation is good to excellent, except for some very severe cases. If the correction is done in the early stages of the luxation, it rarely causes osteoarthritis later on in the dog’s life.